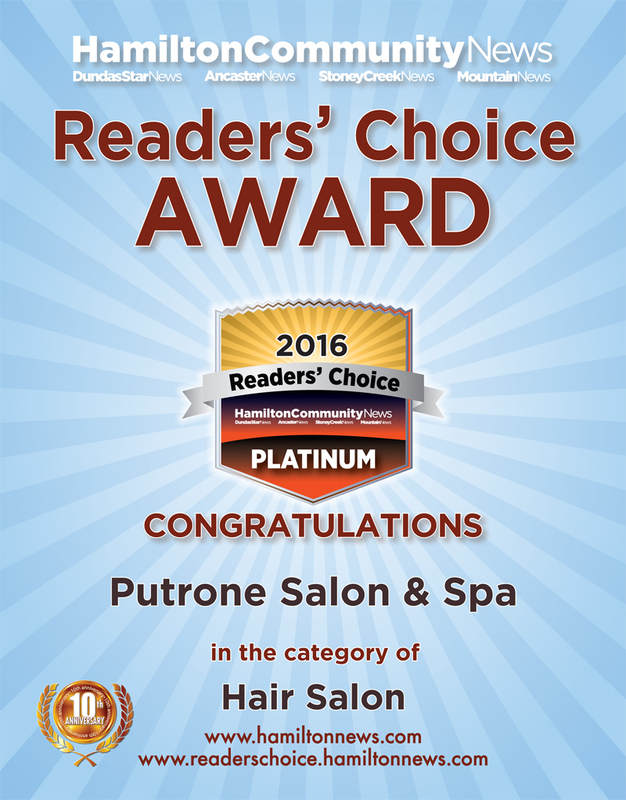 2011 Joe Putrone Best Hairstylist Gold Hamilton Readers Choice Award. 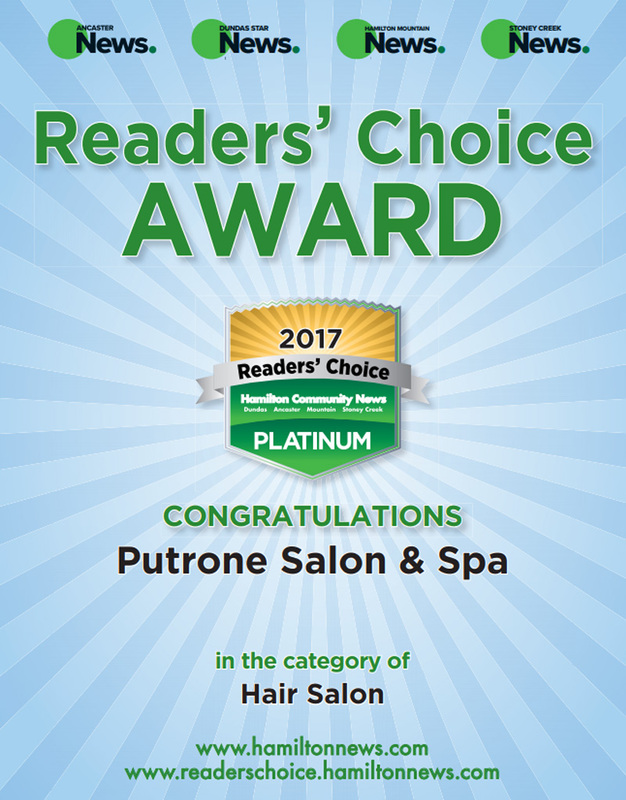 2015 Joe Putrone Best Hairstylist. 2015 Anthony Putrone Best Hair Colour Technician PLATINUM. 2016 Anthony Putrone Best Hairstylist / Barber. Trained Internationally In London England And Italy.